Yes they do! 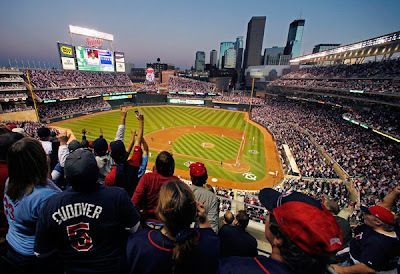 10 Best Trips of Summer 2011 list that was released by editors of National Geographic Traveler puts Minneapolis at number 4. A pedestrian-and-pedal-friendly downtown and welcoming Midwestern vibe make it easy for first-time visitors to quickly feel at home in Minneapolis. Snow can fall here from October to April, so the arrival of warm weather launches a full throttle, June-August celebration of arts, music, and cultural festivals (check out the Minneapolis Aquatennial, July 16-24); farmers markets (17); and fan-friendly Minnesota Twins baseball (played downtown at Target Field—ranked the top sports stadium in North America by ESPN The Magazine). Survey the vibrant scene from the new CRAVE restaurant rooftop patio near the State Theatre, then grab a bike at the nearest Nice Ride Minnesota kiosk ($5 plus trip fees) and cruise all or part of the Grand Rounds National Scenic Byway, a 50-mile urban trail loop. Photograph by Bruce Kluckhohn, Getty Images.